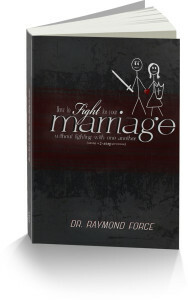 Enter your email to receive Dr. Force's E-course on How to Fight for Your Marriage Without Fighting with One Another. I am finding an increasing amount of men that are just plain mad. 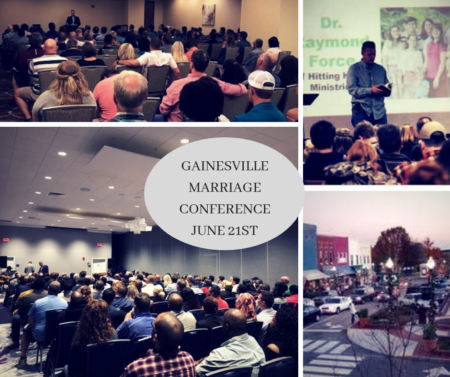 They are mad about their marriage, the treatment they receive from their wives, and what they view to be an uneven playing field when it comes to marriage. Below are few reasons why I believe this to be occurring. If a man is not leading his family toward the Light, darkness will prevail in his marriage. It is that simple. Though his accusations will be hurled at the disrespect he is receiving from his family, many times, the darkness of disrespect is only present as a result of his leadership away from the Light of God’s Word. A man’s words are like a boomerang. What he gives out will always find a way of coming back to him. Marriage is more than a paycheck. A husband should be looking out for the physical, emotional, and spiritual needs of his family. 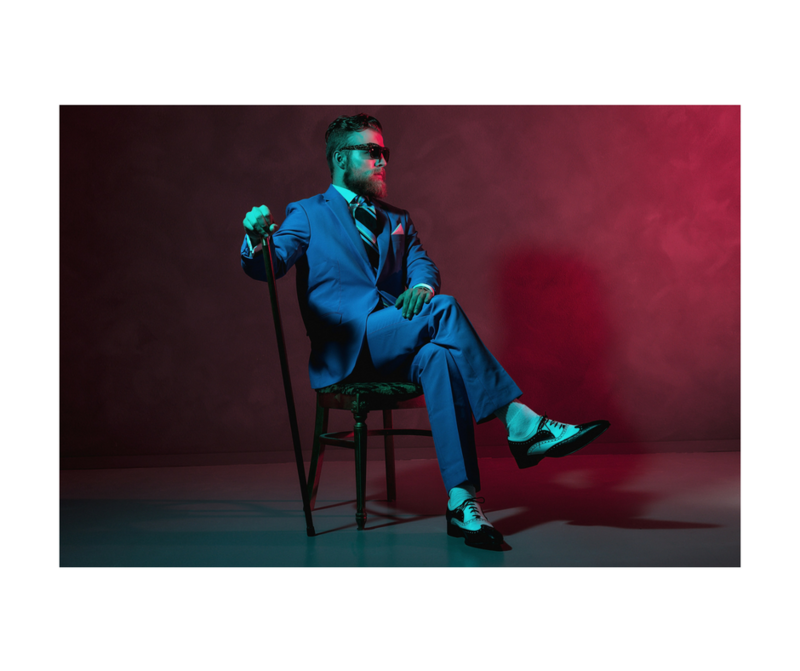 If he is not loving his family in these three areas, negative repercussions will follow, and his temptation will be to get mad at the trouble that his lack of care in all three of these areas has caused. We deal with this in chapter 8 of our marriage book, How to Fight for Your Marriage Without Fighting With One Another. Many wives are still paying off the emotional debts that wayward fathers and bitter mothers charged to their spouse. However, it should be noted that this is why we teach that a happy marriage is comprised of happy spouses. That is, I like to say that my wife and I do not have a great marriage because we have one another, we have a great marriage because we are filled with God’s love and joy before we even see one another. We often say that people have a God-shaped vacuum, but they also have what I call a Dad-shaped vacuum. That is, many men go through life trying to get out of others what they never received from their dads and moms. Thankfully, God is a father to the fatherless (Psalm 68:5), and only He can succeed where our earthly parents failed. A wife cannot fix what others have broke. Only God is able to do that. Although her love can help to display what I call God’s love with skin on it, ultimately, God has to do the fixing. Many men complain to me that they feel there is an unequal playing field when it comes to marriage. 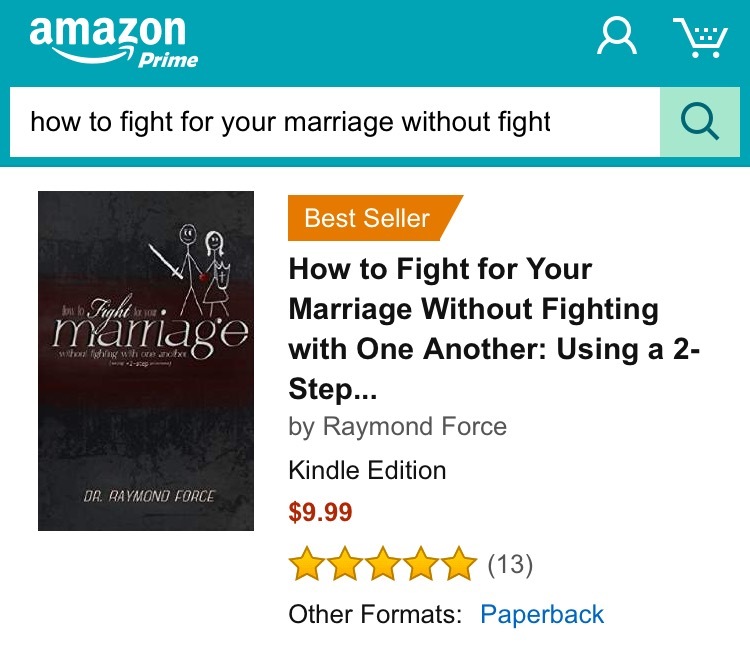 Some even feel that an unbalanced emphasis on Ephesians 5:25 without mentioning Ephesians 5:24 is almost empowering women to withhold their love and affection toward their husbands. Another blame the man for everything. I had to leave my marriage because of constant emotional abuse, denial of life-saving medicine, and death threats. My intuition told me that the fist that she had raised against me when we argued would not be much longer before it was put to use. I don’t regret saving my life but I am tired of hearing from my pastor and church that I am making too much of the abuse and I need to return to my wife and ignore what has happened. My husband cheated on me after 27 years of marriage. I read and listened to so many different experts on marriage and my conclusion is this. A marriage can only survive and thrive if the offending spouse is willing to take responsibility for their actions, some kind of remorse and true empathy must be present and the hurt spouse can forgive. Sometimes we, as a devoted spouses want to do whatever it takes to save the marriage. I absolutely believe any marriage can be saved if both are willing to do the work, this fact is just key to rebuilding trust again, on both sides. The offending spouse can keep a marriage from healing just as much as the hurt spouse can. Mostly do to an unwillingness to do what’s hard. Trusting each other means the one who cheated can trust the hurt spouse enough to be vulnerable and vice versa. What’s hard after adultery is forgiving completely , trusting again, and loving our spouse the way we want to be loved. When we can love in spite of what has happened, that is true love. God, at least for me, is a key player. Without His place at the center of our marriage, we can both try to hold our opinions over Gods truth. He gave us marriage as a tool to help each other learn unconditional love that endures all things, all things means all things. If Jesus, on the cross can forgive the ones who crucified Him, who am I to deny forgiveness to the one I love most in this world. It takes time don’t get me wrong, I am a year and a half past discovery. I still cry, but one thing that keeps me moving forward is that my husband has embraced God, me, our children in a way I never expected. Healing is still taking place because, let’s face it, rejection hurts, it hurts so deep it reaches places we never knew we had, but a marriage can get stronger if we allow ourselves to know that adultery is a lie, it paints a perfect romantic picture that always ends in disaster. The grass seems greener until you find yourself stepping in the poop all over the yard you couldn’t see until you were already in it. A person who cheats is cheating themselves because they refuse to do those romantic things for the one right in front of them, proverbs 4 through 8 are a good place to start to understand the Warnings against adultery and its destructive nature. As a Christian who is seeking the counsel of my Savior, forgiveness isn’t an option, It is a gift we give ourselves and others that benefits our future in a way only Jesus has already demonstrated for us. It leads to Him. Forgiveness leads to freedom for ourselves and others. He forgives so we can come boldly and completely towards him and He will recieve us with open arms. How can we not heal after such an act of the love. How can we expect to heal our marriage without understanding these concepts of God. Anything other than forgiveness, even if it’s forgiveness without reconciliation because the other spouse WON’T change, I won’t say CAN’T change because it is a choice, and until they understand that about themselves they will always be a risk to themselves and their spouses. I would never say to leave your spouse either, only because marriage is sacred to God, and that is a decision you must make for yourself. God even gave us the book of Hosea, a man told to marry an adulterous woman. It is a sad story about a loving husband with an unfaithful wife , but it shows how we are unfaithful to our Heavenly Father and how He keeps forgiving us. It give us prospective on just how far we all can and have fallen and hurt our Creator, but redemption is a gift from Him and it should be a gift that we too learn through life’s trials to forgive because our Lords redeeming Grace is always ready to forgive us. Claiming Gods love means claiming His truth. His truth is we must forgive. The opposite leads to pain that never heals and anger that is never satisfied. Trust me Gods way is the only way to restore what was lost. 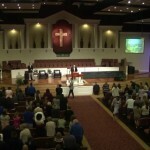 I like listening to Jimmy Evans, Marriage Today! His whole focus is marriage Gods way. Weneed to get out of the way so God can have His way!!!! Good luck and God bless you through this difficult time!!! It may not always be manipulation but it is always Disobedience to God Ephesians 5:24 all things. Im so sorry! I am going through a tough time now as well. 10 years of marriage and 3 kids. My wife tells me she has never loved me. If you need anything I am here. I’m having the exact same problem. I have never been abusive or a cheater. But I have tried everything my way. You can only let God do his work. Listen to Pastor Robert on the Jezebel spirt. I understand your stress and pain. Consider that if you have been verbally abusive (possibly emotionally abusive as well) that your wife has been walking on eggshells also for some time. You are now experiencing the same stress she has been under however long. It’s great that you have not been verbally abusive for the past 2 to 3 months, but your wife is emotionally exhausted from living in fear of the “next time”. It’s hard to live like that. She wants safety from her husband. She needs a husband she can trust and rely on to take care of her emotionally as well as spiritually. 3 months isn’t long enough to win back that trust. She likely needs therapy (which isn’t that easy to get) to help her heal. Abuse of any kind can deeply break a woman’s spirit and she will act out in different ways because of that brokenness. Often as a way to protect herself from more harm. You may feel the harm towards her has ended, but she won’t be able to rest in that knowledge for a very long time. This is a very wise explaination of what the wife is going through. This is si true. A woman can be deeply broken from verbal and emotional abuse and stife. Men do not realize it, but constently placing the blame of anything on her as well as never allowing her to point out how she is being hurt is also emotional abuse. I am going through this now with my husband. He always turns it around on me if I make any kind of negative statement about him. I have said “sweety, please call me if you are going to visit family, and give me the common coyrtesy of knowing where you are. I might have tried to go to.” He will just throw it in my face how i leave all the time without telling him where i am going. Although that is far from the truth. I not only tell him, but I have set it up on his phone where he can see where i am at all times. I have purposely done this to take his false made-up accusation away from him. Thankfully this time it worked. He had othing to say in response to that. But he never once addressed his action nor how it was hurting me. He routinely does that. I can not take it anymore. In times when i start yelling because this behavior has pushed me over the edge, he then takes advantage of this and rips into me about how i lose control and proceeds to punish me with the silent treatment for days, while continuing to disappear. I am so glad i put the house in not only my name but my maiden name. I really want to get this toxicity out of my life. I just can not take it anymore and he has no clue the pit he is digging and how much easier he is making this for me to divorce him. He has recently blamed him forgetting his password to his email on me. He said i changed it to control him. After a couple days of this, i finally thought, wait, if i wanted to control him, i would not have changed it because then he would know i was in the phone. I said this to him and he was silent. He could not rebuttal. At least he stopped hounding me for it. I recently lost a job. I mentioned We could not spend any mobey when his sister came to visit because we do not have that extra income. He blamed me for being controlling with finances. He said it is my fault we could not spend money because i am controlling with it. After arguing extensively about the common sense financial advise and wisdom of not spending mobey one does not have he finally stopped hounding me for that. Although, he still believes i am to blame for just everything! He has now gone an entire week ignoring me and acting as if ido not exist. My car broke down on the way to get groceries. He went and got groceries for himself last night and had not asked if i needed anything, knowing i do not have a car. I just want this to end. He has always done these behaviors throughout our marriage, now it is more magnified than before. Maybe reflect and seek gods face and wisdom. Maybe take the “M” in me and my. And change it to serve and steadfast in that word. For no man can harm you for God! On another note all things are possible. The biggest issues in our trials are the capital letters. When the only caps we “NEED” IS “JESUS'” & “LOVE” !!! I recently read the book and found it to be a breath of fresh air. The basis of Gods word was used as the building blocks of how to be a better husband. All I can do is focus on my relationship with God and show my wife the same love that God shows me. Make your first Love God and you will be filled. My wife moved out 6 months ago and I do not say it lightly about making God my first Love. My peace and fulfillment comes from him. I honestly don’t know if my wife and I will reconcile but I do know that many lessons I was reminded of from the book and my renewed strength from God allow me to keep smiling and sharing His love even if it is to someone who is unwilling. Amen, I have read the book as well and gave a copy to my husband.He choose to collect dust on it and never opened it up. All the anger and actions expressed on me is no solution.God gives us a free will and we stand before God at the end of time.I know for me I will continue to learn how to love and so by doing God gets the glory.I am grateful for the book that Dr.Force has written. Praying that God guides you all in Matthew 7:14 It is said,Because strait is the gate,and narrow is the way,which leads unto life,and few there be that find it. Know the Top Mistake Men Make in a Fight? What is Your Back Story? Too Much at Stake to Love?